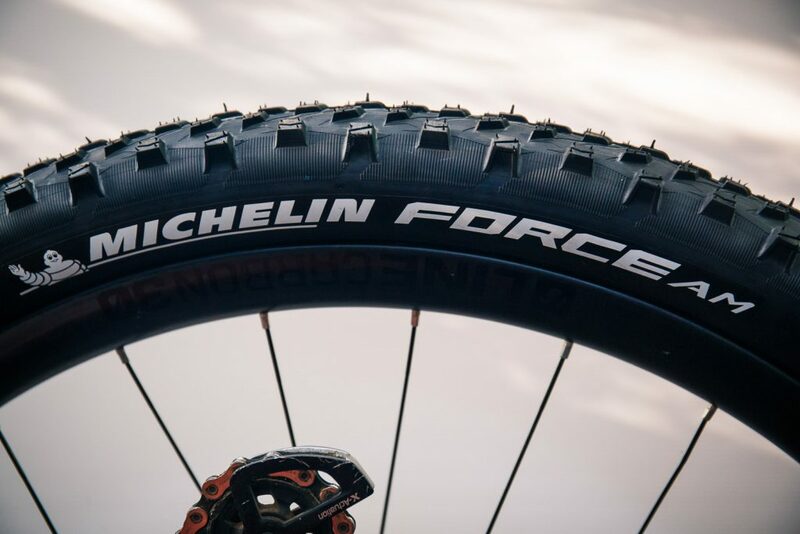 Tyre brand Michelin was a common name in MTB back in the 90’s and early 2000’s, somewhat disappearing for a while as other brands came to the forefront, but they’ve been quietly working away on their range of tyres developed with some of the world’s best riders. The latest iteration of their tyres is the Wild line, now fully imported and distributed into the country by Aussie distributor, Bikecorp. 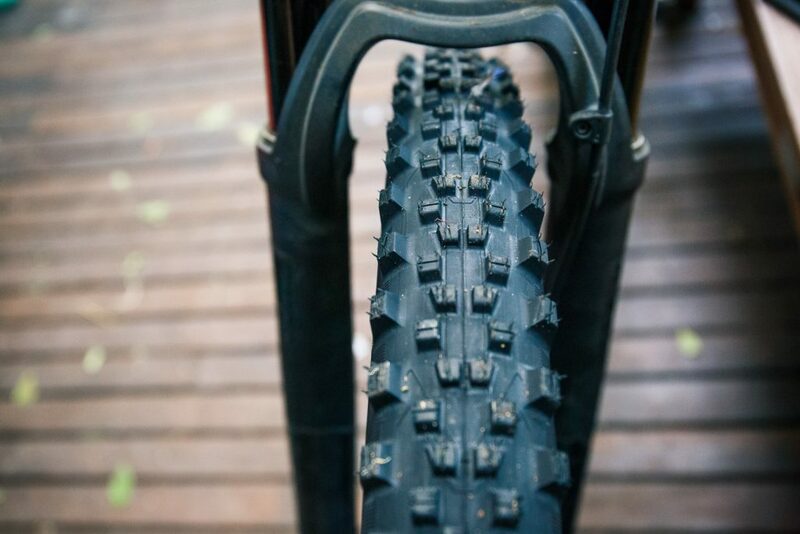 We have been trying out two different versions of their tyres – the Rock’R2 Enduro in both Gum-X and Magi-X compound, plus the Force and Wild AM tyres in Gum-X3D compound. Each tyre in their AM and Enduro line is available in two different rubber compound types, the Gum-X is a stickier compound for better grip at slower speeds, whereas Michelin say the Magi-X is a harder compound but with better grip at faster speeds found in DH & Enduro racing. 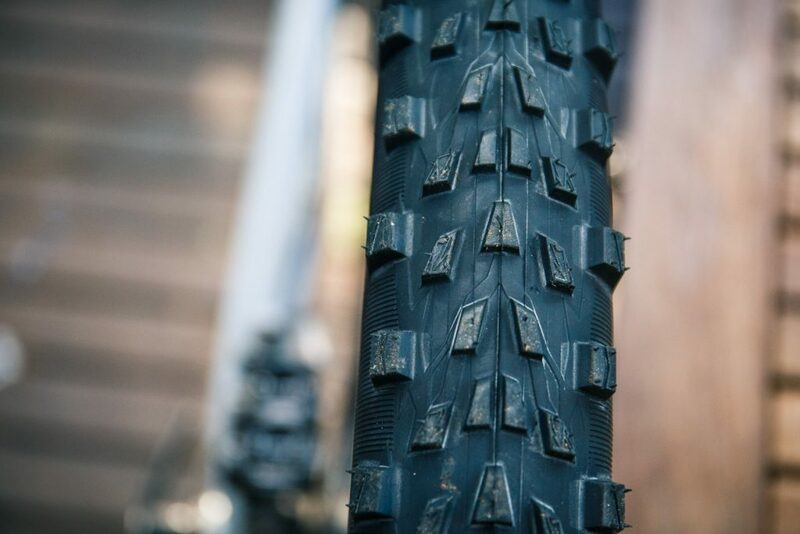 This review pitches two different reviewers on the different tyres – EWS racer James “Cannonball” Hall on the Rock’R2 Enduro, and our editor Ben Sykes on the Wild&Force AM tyres. I’ve been running the tyres with magiX compound up the front and gumX on the rear of Pivot Firebird 29. 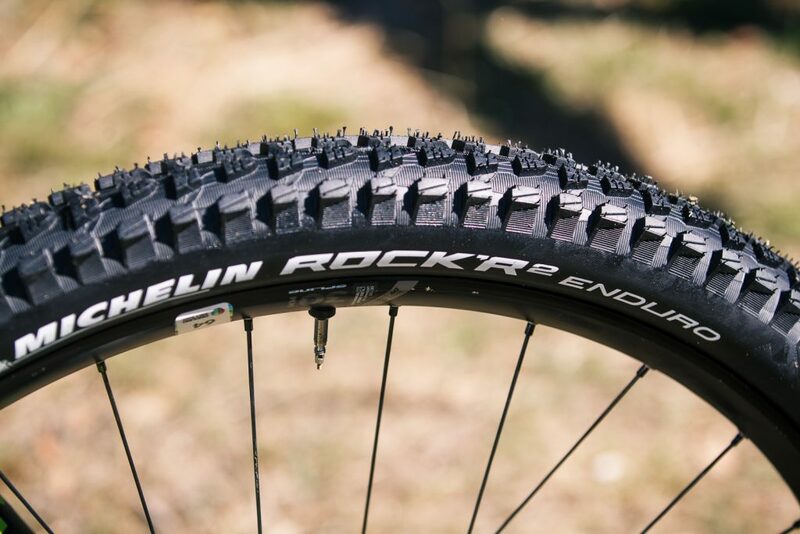 The Rock ’R2 enduro tyres aren’t new by any means but without a strong presence in Australia many of you may not have seen them before. 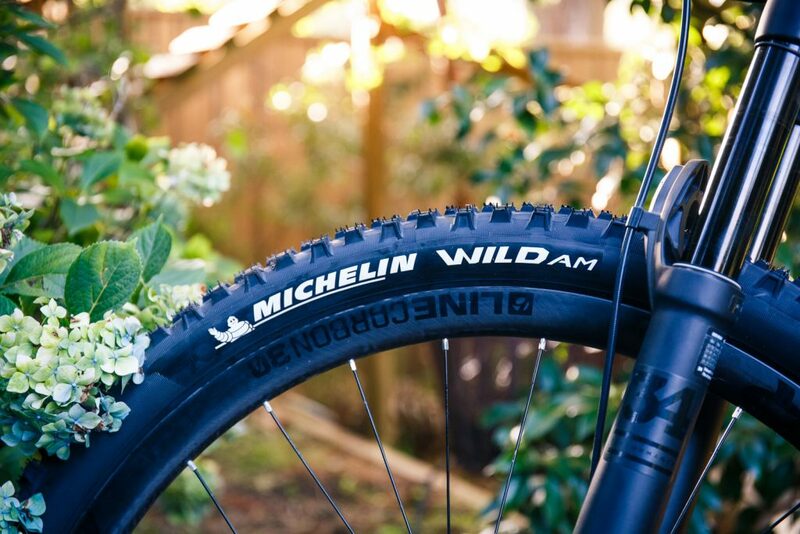 However with the likes of Sam Hill running Michilin tyres, you’re likely about to hear a lot more about them and their newer ’Wild Enduro’ model. I found the ’R2’s surprisingly predictable on wide open high speed loose descents with deep loose over hard pack. Even more so in dry rocky conditions especially tight and technical. Durability wise they held up great through two enduro races and the training between. From the first run I felt confident, I wasn’t taking it easy either, the first run was down the Thredbo DH Track…. I did get one slash through the wall on a heavy hit that near destroyed my rim so I can’t say that’s a fair assessment. At 1150g in the 29er they are comparable to similar width, compound and flat protection featured tyres in other brands. In the 2.35 size they measure generously than other brands so felt closer to a 2.4. My only drawback is that it’s only available in 2.35 at the moment and I would have liked to have matched it with a wider front to rear combo. Running it with the Wild Enduro 2.4 front could make for a pretty burly combo retaining all the braking performance of the ’R2 at the rear. 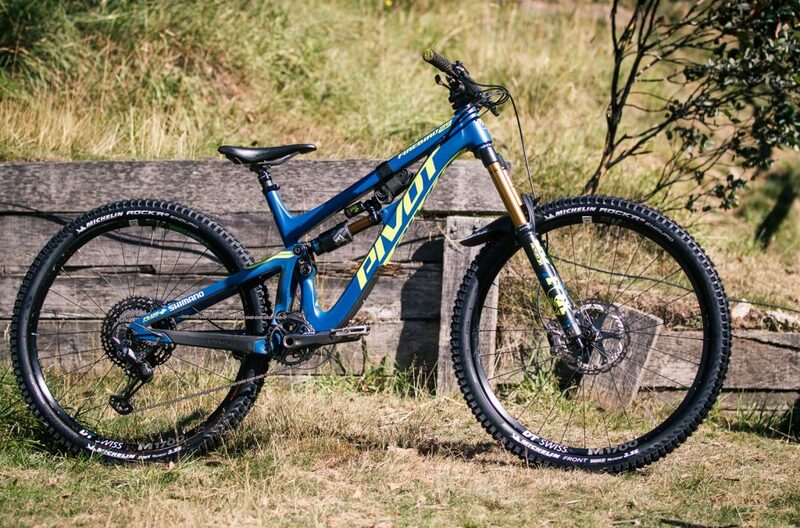 I would happily run these again with confidence in any dry, janky and rock laden enduro race. I really think tyres are the biggest change you can make to your bike’s personality and I’ve definitely tried a few over the years. I was looking forward to trying out something new when I mounted up the Wild & Force AM tyres onto my Trek Fuel EX 29’er , running the recommended combo of the Wild up front and the Force at the rear. From the first impression the Wild seemed similar to other do-it-all terrain tyres out there, maybe most notably a Hans Dampf, but with Michelin’s own spin on it and their tacky Gum-X3D tyre compound. Out back the Force reminded me of an Ardent Race, but with a beefier construction and bigger sideknobs. The 2.35″ sizing on my 30mm internal carbon Bontrager rims was around 58mm for the carcass and 60mm to the edge of the widest sideknobs – an true-to-size volume for a 2.35 rated tyre. Weight wise they came in a little under specced weight, 860g for the Wild and 780g for the Force. My local trails are typical Sydney – lots of sand, rocks and loam almost nowhere to be seen. On these local trails the combo worked pretty well, for the first few K’s the only adjustment was to handle the rear being a little easier to break loose in corners, telling me my cornering was probably a little lazy from riding grippy Minions all the time, but when pushed hard in a straight line the fast rolling speed was definitely noticeable. 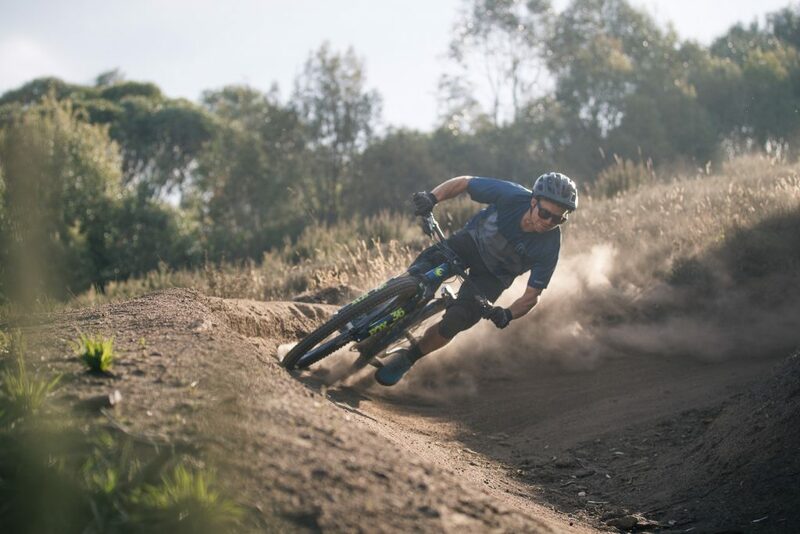 Fast-forward to the hardpack and loose-over-hard of Thredbo on the weekend of the Super Enduro, and while the front performed admirably the rear was a different story in corners. It held up OK, but had to be careful the of input you put into the rear to prevent it breaking traction with the Force AM up back. When it did start to drift the larger sideknobs prevented it moving too far out but it’s XC style intentions were clear in this terrain of high speed corners. So for the final test I decided to move the Wild AM onto the rear and use a tyre I know works well up front, to see how it performed on the rear. I haven’t had much time on it so far, but impressions are good. As it’s somewhat similar to an Aggressor or Hans Dampf it rolls well , with its open spaced tread design it keeps traction well, and over rocks it felt controlled even with braking and climbing up damp rock shelves. I’ll spend some more time on this combo over the coming weeks and see how it goes! With some more time I think it would be awesome to try out how a Wild AM went on both the front and rear, or step up to the Enduro-spec tyres with their beefier casing and tread especially if I was entering a gravity race where a puncture or sidewall slash made it a bad day. 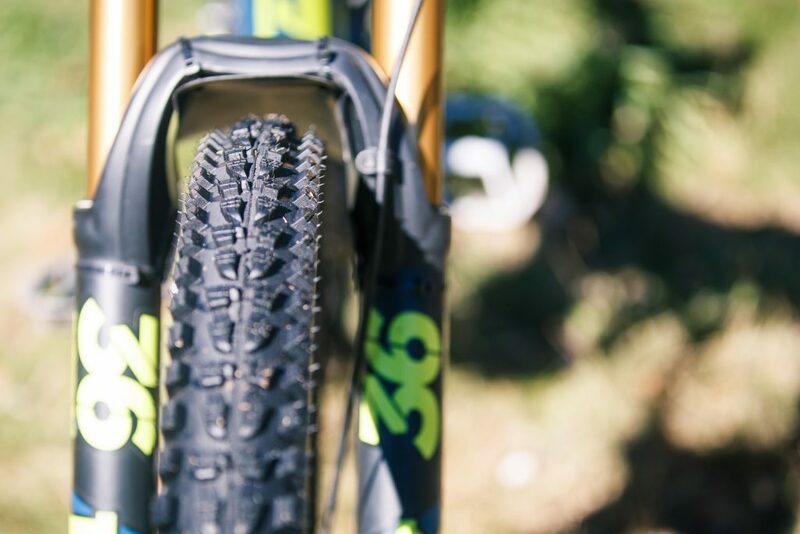 There’s a huge amount of different tyre options in the Michelin catalogue, far too many to list here right now and a few more in the pipeline, including a new Downhill tyre that’ll be under the MS Mondraker team and other sponsored riders this year. It’s good to see another option in the market for performance MTB tyres here! Thanks to the distributor Bikecorp for the review tyres. Get in touch with your local bike shop if you’re interested in getting a set for yourself.